These tools will be figuring into the mix on my new recordings that are currently in process. I have owned my Capybara 320 for 13 years now! And, I have decided to add the Pacarana to the menagerie in my studio! The increased power of the Pacarana is amazing to me and is about 1.5 times as powerful as my fully loaded Capy! Great to have these two instruments at one’s fingertips. The cool thing is that the new version of Kyma – Kyma 7 – has some amazing new features!! I am really looking forward to putting a Kyma patina on the new records. There are so many ways to work with Kyma that the composer does not really need to be limited in what they do with the system or really how they think about it. For the ambient records that are my current projects Kyma will be used for drones, synthesis of new timbres, spatialization of sound sound sources and some general musical signal processing – such as reverberation and spectral processing. But, there are obviously many more things you can do with Kyma. Customizable control surfaces add a wonderful layer for interactivity for user developed patches. Kyma 7 takes this to a new level of sophistication and user-friendliness. The iPad becomes a natural extension of the interaction with the system. The Grid is a very welcome new tool that lets you try out all kinds of processing moves on your sound sources easily since it can self-propagate. The Pacarana itself is a single rack unit device – but it can be expanded into a larger system easily by adding more copies – at the outset I will be using only one Pacarana but it will be tempting no doubt to think about expansion one future day and the notion of adding a couple more! I will no doubt be mentioning in more specific detail the ways that Kyma 7 and the Pacarana are contributing to the new records. 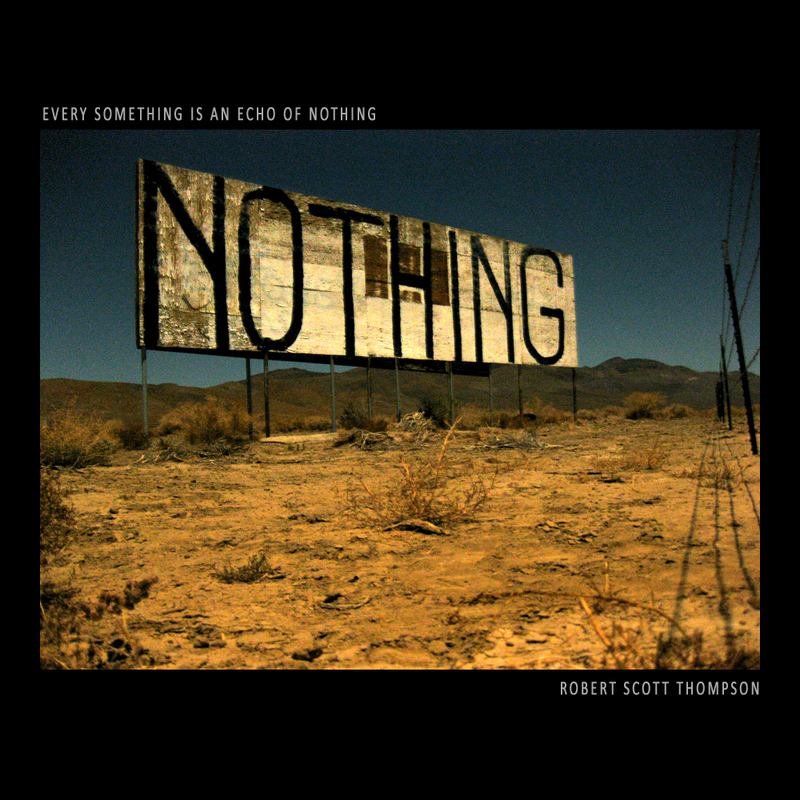 I will also quite likely be posting some new session “out-takes” at the Soundcloud page – https://soundcloud.com/robert-scott-thompson – and, should I come up with some really good patches I will share those over at the Kyma community pages at Symbolic Sound. 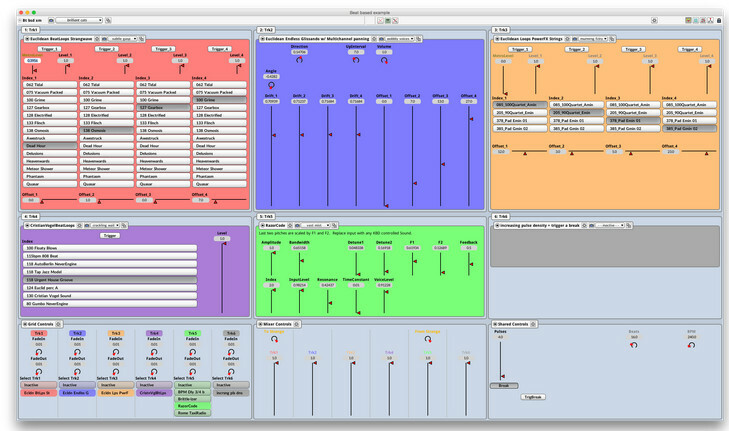 If you are a serious sound person – composer, sound designer, media sound developer, EA musician or ?, you really should check out this amazing instrument. The possibilities are really infinite and the sound quality is stunning. This 30-minute ambient track is another of the studio out-takes from the Anodize sessions that are on-going this summer. In this track the main background (event) texture is from Kyma 7 and the synth work is a combination of analog and digital. The new GRM Spaces tools are used for some of the spatialization of the sounds. Reverberation is by Altiverb 7 and delay processing by Echoboy (Sound Toys). This recording is a free download at Soundcloud for those interested in adding the music to their collections and players. If you like the track please share the link with others. I hope you will enjoy listening. Just completed a short work for the Alien Research (IFAR) 4’33” project – Every Something is an Echo of Nothing – as part of the IFAR Musique Concrète Lost Episodes Compilation. This should be appearing at the Bandcamp IFAR page shortly. The composition is exclusive to IFAR and is not available anywhere else. I hope you might be able to check it out! The compilation itself has some great material on it and is a “name your price” download. Now, back to recording for the Anodize record and setting up the Pacarana. I might go down a rabbit hole with that and the new Kyma 7! Have to watch out!! In the studio all this week working on the Anodize project. Some new approaches to this one – not strictly in the classical ambient mold, and not strictly electroacoustic or computer music either. There are a number of touchstones – recordings and artists that are inspiring this shift in focus. However, it was a comment from Darren Bergstein, owner of Anodize, that has had the most profound effect on the compositional approach – an invitation really – to move beyond to the new, and to express the essential – to reach somewhere yet unvisited. This has brought be back to the early approaches and the primary infatuation with the synthesizer. 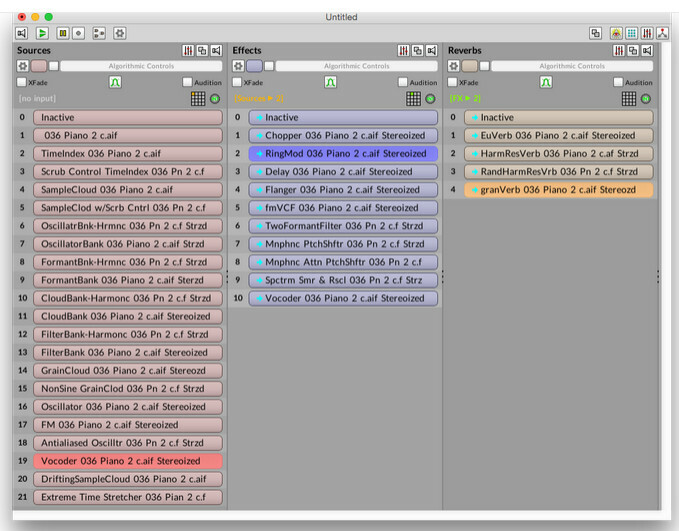 Some new tools are being brought to bear though – such as Circle – quite an interesting software synth. The new Zynapiq spectral processor Morph is also lending some effort to the sound design. And, of course the Pacarana. This will be a Kyma-heavy release to be sure. Today there will be some field recording work as well. Birds in the area mostly, and some wind chimes to time-stretch. There is one local loud-mouth that has quite a set of pipes. What to try to get him on tape today. This work is for the side-project for cats by Bodakur von Bodetovan – the canine producer. Look for that one shortly on Aucourant. Some studio out-takes will be posting shortly. In the meantime enjoy the spring flowers. Frankreich 2008 4von8 – Normandie Bretagne Île-de-France ua.